If you want the effects of your massage to last, you’ve got to do self-care/exercises in between sessions. But… how do you know if you’re doing it right? You can do squats without using your glutes (which leads to serious hamstring, quad, and lower back pain). Introducing our newest offering – workshops. We’re trialling these this December (see below for details) with a goal to make them a regular part of our offering. You’ll leave with a written guide summarising the information we covered, and notes on what positions to use to refer to going forward. 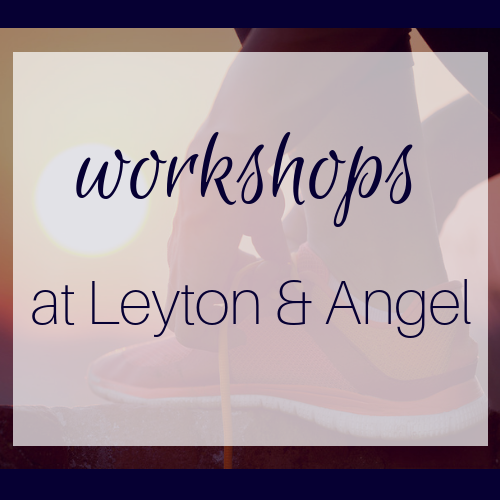 Note: If you’d like to go to both workshops, you can also do both workshops for £30 – just purchase the 2 ticket option and email us to let us know you want to do both so we can update availability. If your glutes have never felt sore after a weight training session (or, never as sore as your quads or your hamstrings) then you probably have a glute activation issue. a collection of exercises to incorporate into either your pre-cardio warm up (for runners or cyclists) or your weight routine to make sure that you’re actually using your glutes, vs setting yourself up for knee or hamstring injuries. If you’ve been to see me in the last year, you know this is something I’ve wanted to offer for a while. This is our first run – depending on how they go we’d like to offer them more regularly in 2019. But to do that, we need at least 10 people to sign up for each workshop. Should be doable, but we are talking about the beginning of the holiday season here! If you know anyone who might be interested in joining us, please share it with them, and if you’re interested it would be great to see you there!